Incredible fan footage emerges of the moment Perez made it 3-2 vs Everton – Amazing scenes – NUFC blog – Newcastle United blog – NUFC Fixtures, News and Forum. 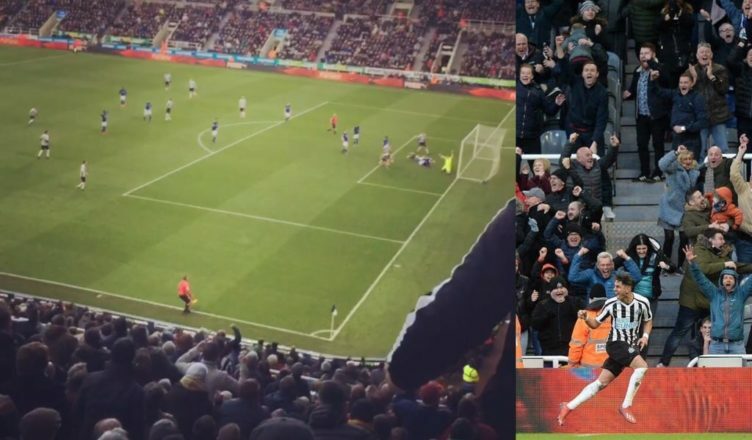 We may not be fighting for titles, we may not be where both we and Benitez want us to be, but I can guarantee you that no set of Premier League supporters celebrated like we did when Ayoze Perez’s winner went in on Saturday. A stunning comeback and another reminder of what can be achieved at St James’ Park when the atmosphere whips up and the players respond. A spine tingling moment that never fails to get the hairs on my neck standing up – no matter how many times I watch it! A few friends of mine tell me, ‘you beat Everton, calm down’, but, like I allude to in my opening line, this just highlights the passion and pure will to win that exists within the 52,000 supporters inside St James’ Park. If this is a win to get one foot closer to safety (something that looks likely as it is on current form), can you imagine how the ground would erupt if this was a goal to get us into the final of a cup or see us qualify for Europe?! Everton – a side packed full of ‘£20-£40m’ players – toppled like a pack of cards, proving once again that you can buy talent, but you can’t buy heart; and this Rafa Benitez side has that in bucket loads. Let’s make St James’ Park a fortress again!